I have a confession to make—I talk to myself. Yes, it’s true. I regularly carry on conversations with myself. Most of the time, the discussions take place inside my head, but occasionally, the words spill out of my mouth. I guess it’s a good thing the only one to witness my crazy behavior is Barnabas. I have a feeling, though, I’m not the only one talking to herself. Am I right? We all tend to run ideas around in our head and talk them through with ourselves. And that’s not a bad thing as long as the self-talk is positive. Unfortunately, most of what I have to say to myself and about myself is negative. I complain about things. I berate myself for making a mistake or forgetting an important task. I bemoan my lack of discipline and criticize my valiant efforts. I am my own worst enemy, and I often forget the power of words. The first half of the verse seems logical. If you’re preparing for war, one of the most important things you need to do is ready your weapons. That’s just common sense. But note the latter half of the verse: “Let the weak say, I am strong.” That, my friends, is positive self-talk, and God Himself recommended the armies use this tactic before going to war. For them, it would do little good because they were acting against God instead of with Him, but for us, this tactic could change our lives. I’m not talking about being vain or arrogant. No, I’m suggesting we speak the truth as God sees it rather than our warped perception of life. Most days, I do well to get by physically, and I don’t praise myself for my strength because I don’t see strength. I see weakness. I feel pain. And I comment on these things. But I have forgotten that Philippians 4:13 tells me, I can do all things through Christ which strengtheneth me. With Christ working in and through me, I am strong. 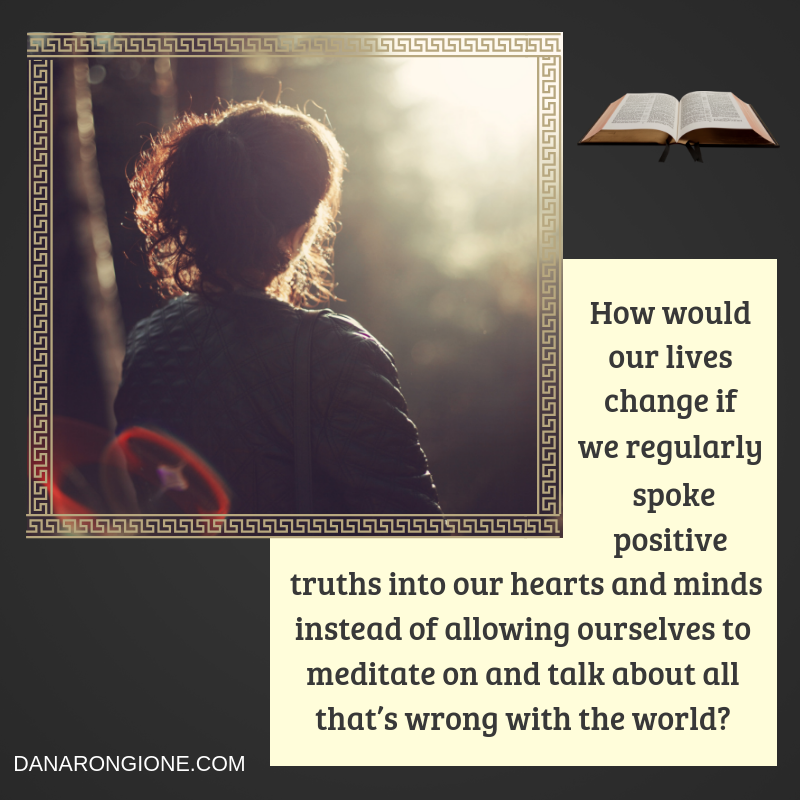 How would our lives change if we regularly spoke positive truths into our hearts and minds instead of allowing ourselves to meditate on and talk about all that’s wrong with the world? I dare say we would be happier, healthier, and more peaceful. God’s battle plan for these soldiers involved preparing their weapons and preparing their hearts and minds for battle by strengthening their resolve with words. I wonder if that’s why military commanders often give motivational speeches before setting off to war. It makes sense. Friends, every day for the Christian is a battle. We are in a war against Satan, the powers of this world, and our flesh. God has provided us with our armor and weapons (Ephesians 6), and He’s even given us the guidebook for our positive self-talk. The Bible holds all the truth we will ever need. I must stop putting myself down. I’m defeating myself in the battle before the enemy even has the chance to take a swing at me. With my negative thoughts and conversations, I’m setting myself up for failure and defeat. It’s time for me to remember that I hold the power of life and death, and that power resides in my tongue. May I use it wisely! In my devotion time this morning, I came across an excellent definition of the word "discipline." According to Charles Swindoll, discipline is "doing what we don't want to do so we can accomplish what we've always wanted." Sounds about right to me. After all, it seems that I've had to discipline myself in many areas lately. One must have discipline to work from home. Otherwise, nothing would get done. There are always distractions and other obligations. There are always excuses for not getting to a particular task. And while I love to write, there are specific areas (like marketing, formatting, and editing) that are a necessary part of my ministry, yet ones I despise doing. But if I want to accomplish what I've always wanted, I have to be willing to do some of the things I don't want to do. I've also called upon discipline in my journey toward better health. The road has been long and hard and involves many things that I would rather not do. I don't like to exercise. I don't enjoy making myself get out of bed at 6:00 in the morning so I can do my three-and-a-half-mile walk. I don't want to eat a salad instead of a plate of fajita nachos from my favorite Mexican restaurant. I don't want to drink water instead of soda. I don't want to do stretches and Pilates and strength training. But each of these things is necessary if I am ever to accomplish what I've always wanted--optimal health. Then there's the housework. Scrubbing bathrooms is no fun at all. Having to give up some of my precious writing or reading time to do the dishes is misery. Folding laundry. Running errands. Cooking. Cleaning. 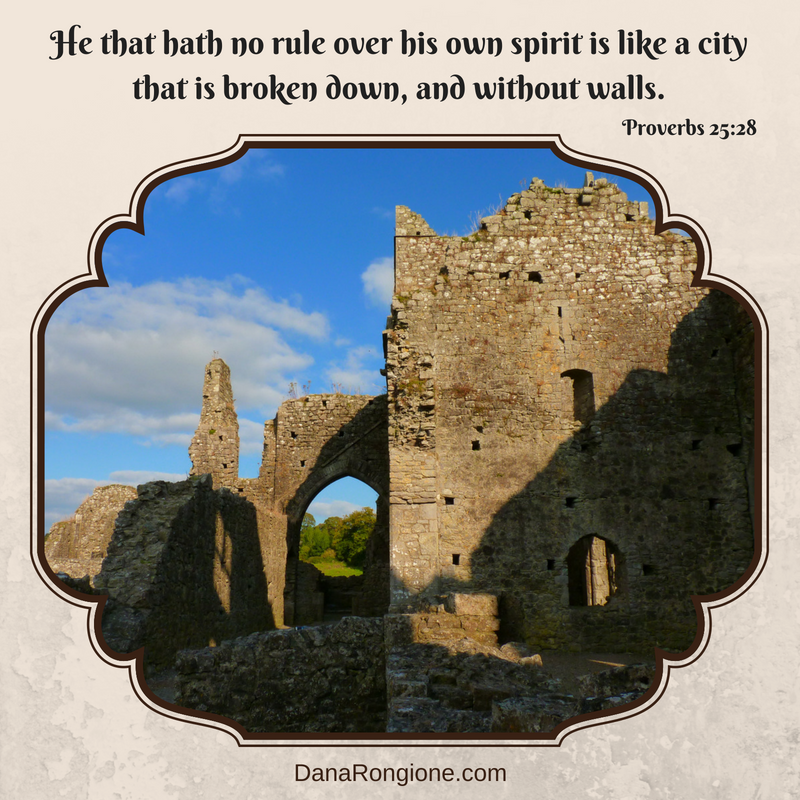 These tasks hold no joy for me at all, yet I know that if I don't discipline myself to do them (and do them regularly), I will never achieve a relaxing and peaceful abode. Now, we've added into the mix the many tasks involved in getting ready for deputation. I had no idea how much time and effort were involved before even booking our first meeting. It's crazy! The process has required discipline and time management, having to choose what needs to be done over what I want to do. I guess, in the end, it all boils down to this question: How badly do I want it? How badly do you want it? Whatever it is that you're trying to achieve, do you want it badly enough to implement discipline into your daily routine? Is your goal desirable enough that you're willing to do the things you don't enjoy to obtain the thing you've always wanted? It won't be easy, and you may find your discipline wavers from day to day. But hang tough and be strong. And imagine the joy that is awaiting you when you finally reach the thing for which you have strived.